Cedric Jose (in photo) plays Elly, a young student who is torn between maintaining his integrity and giving in to peer pressure. Idol: Pag-asa ng Bayan hopes to enlighten students about the perils of cheating. This independent film, written and directed by Cesar Evangelista Buendia, stars Cedric Jose, a 17-year old computer science student studying at the University of the Philippines. At first, the film appears to be a simple and funny coming-of-age story about friendship, youth and high school life. In the course of the film, however, Idol reveals a serious story about honesty, honor and integrity. 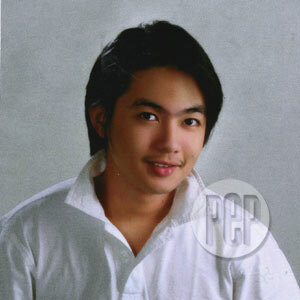 Cedric, a former Ang TV personality, plays the role of a working student named Eleazar Zabarte or Elly. He is a scholar and is now a candidate to become the class valedictorian. His father works at a government institution but is quite idealistic and incorruptible, which explains why his family still remains so poor. Charismatic Elly works part-time as a student assistant and he has indirect access to confidential school papers. He has earned the trust of the school staff, and because of this, it would not be difficult for him to get hold of this year’s final exams—the one which his best buddy Simon and their other friends need to pass in order to graduate. Friendship and "utang na loob" win over the values that Elly’s father has instilled in him. The young boy decides to sneak into the secretary’s office, open the computer file and print a copy of the exam. As the story ends, the principles of each of the characters are put to the test. The word integrity acquires a new meaning and our values as Filipinos are revealed in this indie film. Idol: Pag-asa ng Bayan was the final project in a workshop organized by The Garage, Jesuit Communications Creative Technologies. Almost all the film’s cast and crew are neophyte filmmakers, making the film truly by students and for students. The film will have its premiere at the SM Mall of Asia on July 20. Regular commercial screening starts August 1 exclusively in SM theaters around the country.